Are you in the process of building a new house? Perhaps you’re remodeling your existing house? If so, you have a lot of things to think about. One of the most important of these things is your heating system. After all, you want the temperature and climate in your home to be perfect. While there are all types of heating systems available for use, two of the most popular are boilers and furnaces. Are you interested in purchasing one of these systems? Not sure of which is right for you? To help you decide, we’re going to compare them below. When it comes to energy efficiency, boilers are far superior to furnaces. This is because, while furnaces experience a good deal of heat loss, boilers experience almost no heat loss whatsoever. Why do furnaces experience such heat loss? Air ducts! Because furnaces must make use of long ducts, they are inherently less energy efficient than boilers. Boilers don’t heat through forced air, meaning that almost all of the heat created by them is used effectively for heating purposes. As far as heat distribution goes, boilers reign supreme. Furnaces only provide heat from very specific areas (i.e. where vents are located). While heat from these areas will eventually travel to other areas of a room, it usually does so inconsistently. In essence, furnaces usually result in cold spots throughout a home. Boilers, on the other hand, will provide direct heat all over a house. Because they make use of pipes that are installed under floors and inside walls, they offer evenly distributed heat at all times. The fact of the matter is that furnaces can have serious negative consequences on the quality of your air. This is because they make use of air ducts. As these ducts become dusty and dirty, dust and dirt are blown out into the open air. Because boilers don’t make use of forced air, they have no effect on air quality. Your air will remain unaffected regardless of how much you use your boiler. In terms of noise, both furnaces and boilers operate fairly quietly. However, overall, furnaces tend to make more noise than boilers. Generally, this noise presents itself in the way of softly blowing air. 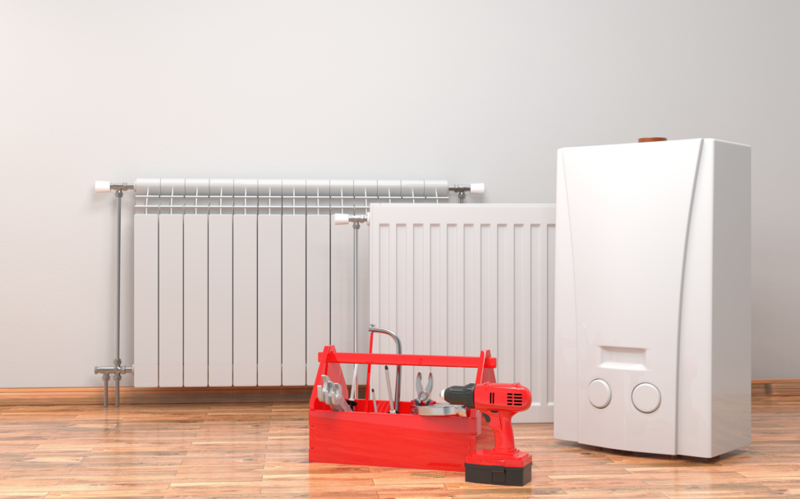 Both boilers and furnaces can make operational noises, but because they’re typically installed in little-used rooms, these operational noises aren’t usually much of a bother. Both furnaces and boilers require regular maintenance. However, furnaces usually require just a little more maintenance than boilers. This is because they require air filter changes every 1 to 2 months. When it comes to operational speed, boilers usually outperform furnaces. This is because furnaces make use of forced air that must travel in order to heat up a room, and boilers make use of hot water that heats up a room almost as soon as it enters. Neither heating method is particularly slow, but if you’re looking for the fastest option, the boiler is the option for you. 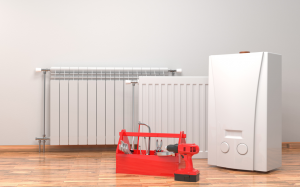 In Need of Boiler or Furnace Installation in Westmont? Have you made a choice between a boiler and a furnace? In need of heating installation in Westmont, Illinois? If so, the heating specialists with Hearthstone Heating & Air Conditioning have you covered. Our team is well-versed in the installation of both furnaces and boilers, having installed them in a number of homes throughout the Westmont area. Regardless of the system you choose, we’ll install it for you in quick and efficient manner. My husband and I are needing to get a new heating system because we can’t get our current one to turn on. Thank you for suggesting that we should make sure and check for energy efficiency in the new unit. I’ll have to keep this in mind as we search for the right contractor to do it. I love that you can get maintenance issues fixed up quickly. Having an air quality filter will make it a lot easier to breathe in your home. My sister might like knowing this as she looks into getting a heating system.